Dizziness is a common symptom that we see in everyday practice. 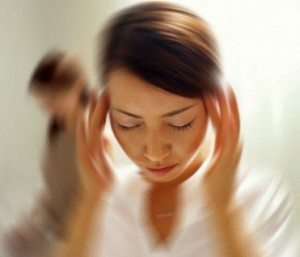 Its causes are many and varied, so it is important that your practitioner is skilled in understanding the variations between the many different presentations of dizziness. Do you feel light-headed as though you are about to faint, or is it more of a sensation of the world moving or spinning around you? How long does each attack of dizziness last? How long have you been experiencing these symptoms for, and have they been worsening over time? Do you also suffer tinnitus and/or hearing loss? Do you have any history of trauma to the head or neck? Depending on the likely cause, we refer for further testing if necessary and liaise with your GP on your behalf. Once a diagnosis is made there are many ways that chiropractic treatment can help, especially if the cause is BPPV, migraine or if there is involvement of impaired sensory feedback from the cervical spine. These 3 inputs then converge in the brainstem. If all 3 inputs agree with each other, then there is a sense of stability and 'stillness'. If one of these inputs is slightly out, the brain can cancel that one out and rely on the other 2 to tell it where the body is situated. If, however, one of these inputs is significantly out compared to the other 2, or if none of the 3 inputs agree, then the brain becomes 'confused' and loses perception of the body's position in space. Vertigo, an impairment of your brain's perception of your precise location in space, can therefore occur when there is a disturbance to any of these 3 sensory inputs. Thankfully, carefully applied chiropractic treatment can significantly improve these sensory inputs, thereby decreasing the symptoms of dizziness and vertigo.